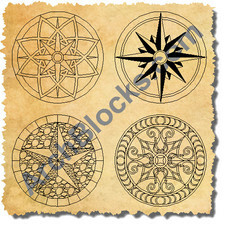 These CAD medallion floor tile patterns are a beautiful set of AutoCAD drawing tile medallion designs to place in your CAD flooring plan drawings. 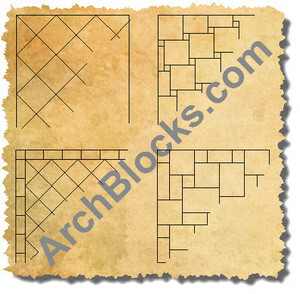 Make your drawings look very professional by using these floor tile medallions in AutoCAD .dwg format. 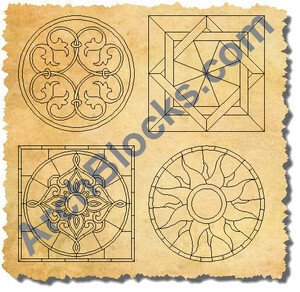 These CAD medallions will add some great detail to your CAD drawing projects. 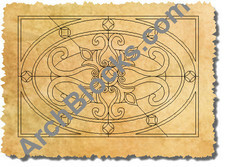 You can drag and drop these tile medallions very quick and easy using AutoCAD's Design Center feature. All the medallion blocks were created on Layer "0", so they will turn to the color and linetype of the current layer they are inserted on. Also, the are very easy to edit, you can use AutoCAD's Explode command, or Block Editor to convert each block into separate objects that can then changed in any way that you want. 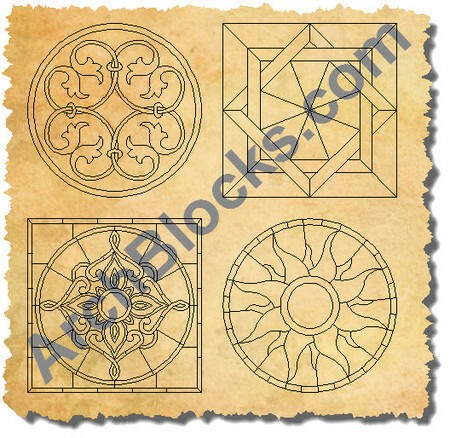 There are 9 highly detailed tile medallion CAD blocks in this flooring tile library.